As you might imagine when it comes to being a horror movie fan, on top of loving and having an encyclopedia-level knowledge of directors and actors and scream queens, even the casual fan also takes great notice of the people behind the scenes of the make-up effects. One such hero of the gore galore genre is actor, writer, producer, director, special effects artist John Carl Buechler. And today we have the unfortunate news that after being diagnosed with Stage IV prostate cancer in 2019, Buechler has passed away at the age of 66. As mentioned-above, Buechler is best known for his work as special effects makeup designer on such creepy classics as Luca Bercovici's Ghoulies, Troll, Crawlspace, TerrorVision, Stuart Gordon's Dolls and From Beyond, Cellar Dweller, and Renny Harlin's Prison. He also contributed effects to Brian Yuzna's Bride of Re-Animator, Adam Simon's Carnosaur, and Adam Green's original Hatchet. He has also worked on some of the biggest franchises our beloved genre has to offer such as Dwight H Little's fourth sequel to John Carpenter's Halloween, Halloween 4: The Return of Michael Myers. And director Renny Harlan's fourth entry in the A Nightmare on Elm Street series A Nightmare on Elm Street 4: The Dream Master where he created the aged Alice makeups, Freddy's chests of souls, and the infamous horror pizza. On top of all that, Buechler has worked on a number of more "mainstream" films you may have heard of including Steven Spielberg's Indiana Jones & the Last Crusade starring Harrison Ford and Sean Connery, and my personal cult classic favorite Rod Amateau's The Garbage Pail Kids Movie. The man has also lent his talents behind the camera as the director on such flicks as Friday The 13th Part VII: The New Blood starring Kane Hodder and Lar Park-Lincoln, Watchers 4 starring Mark Hamill and Lisa Wilcox, and Cellar Dweller starring Debrah Farentino and Jeffrey Combs. He also helmed Troll starring Michael Moriarty and Julia Louis-Dreyfus, and Ghoulies Go to College starring a bunch of Ghoulies looking to further their education. He also had a fun extended cameo in Adam Green's Hatchet series as the piss-drinking old hermit Jack Cracker in Hatchet and Hatchet II where he died a spectacular death. 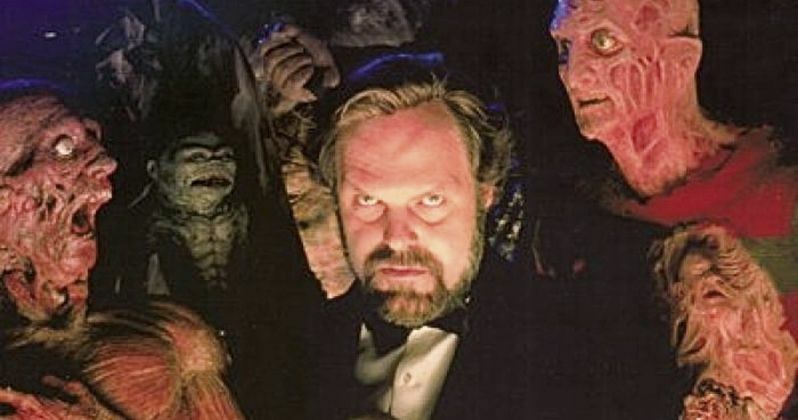 John Carl Buechler was born in Belleville, Illinois, and was diagnosed with Stage IV prostate cancer in 2019. His wife set up a GoFundMe page to help pay for medical expenses. His mini-biography over on IMDb states that when he ran the make-up effects department at New World Pictures, Roger Corman called him "...the best in the business..." John Carl Buechler was the first person in history to make his way into the director's chair by way of make-up effects superstardom. Buechler's final film as director was The Strange Case of Dr. Jekyll and Mr. Hyde starring Tony Todd and Tracy Scoggins back in 2006. I know I speak for the vast majority of horror fans out there when I say Buechler will be sorely missed. He was one of the very best names in the business alongside such other masters as Stan Winston, Tom Savini, Rob Bottin, Rick Baker, Ray Harryhausen, Robert Kurtzman, Phil Tippett, and Chris Walas. R.I.P. John Carl Buechler. Word on his passing was first shared by espinof.com.